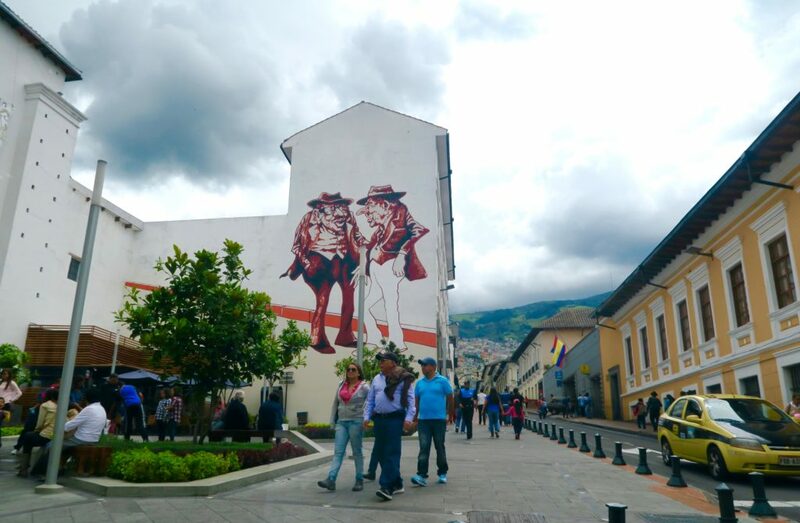 Jet-Lagged Observations of Quito, Ecuador - Holy Smithereens! 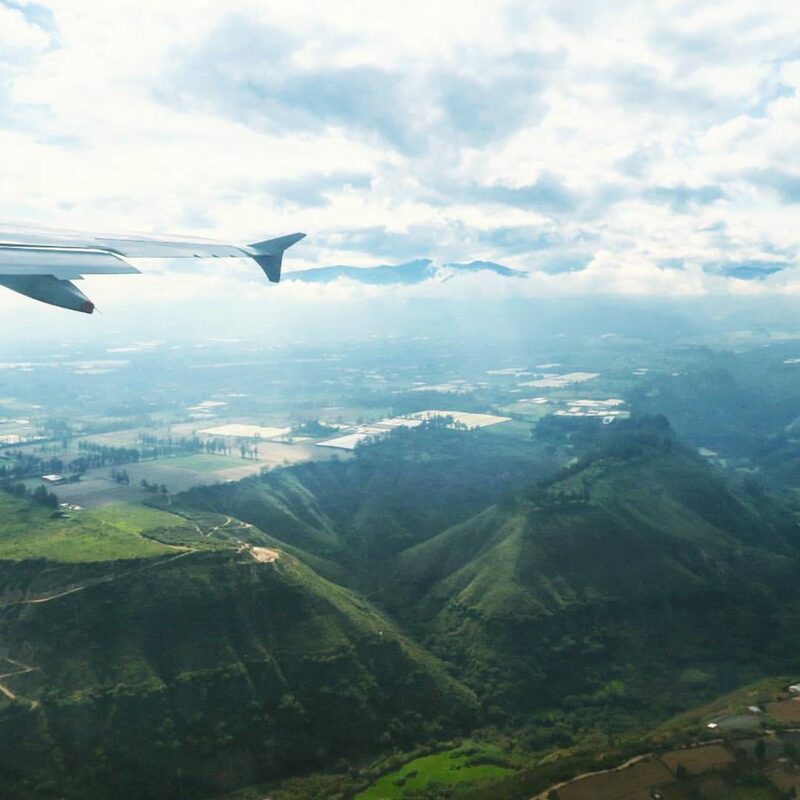 It only took us 35 hours to reach Quito, Ecuador from Canberra, Australia. Hence we needed two nights to recuperate before embarking on a Galapagos cruise. I arrived feeling drunk, and woke up feeling mildly drunk. 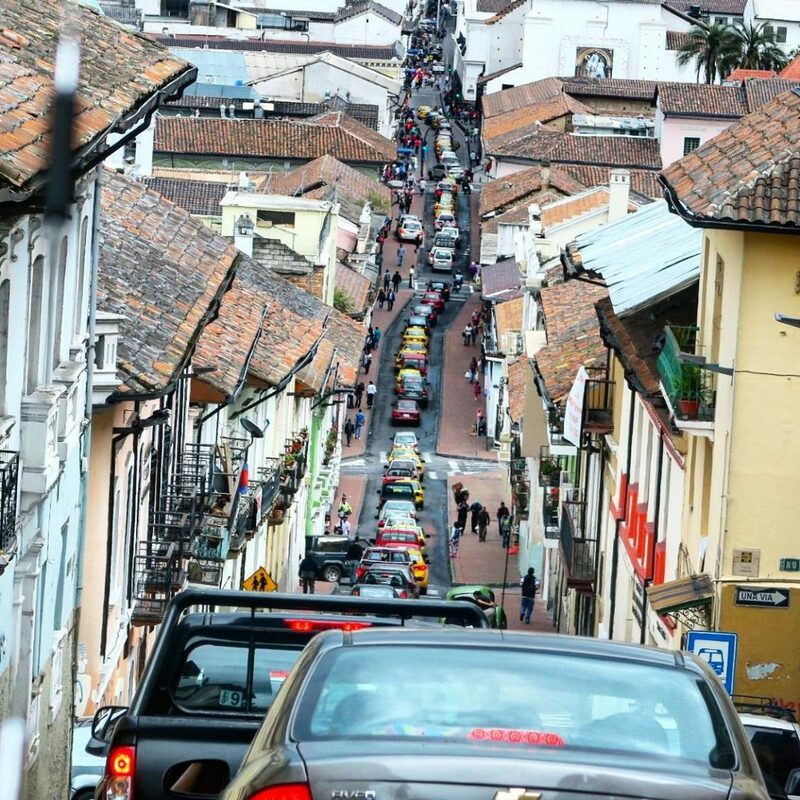 Our full day was spent exploring Old Quito in a daze. So I won’t delude you with a deceivingly useful post. Because the state I was in, I couldn’t even recall the 3 steps to remove makeup (I blinded myself when I mistakenly smeared sunscreen on my eyes thinking it was makeup remover), let alone find “10 things to do in Quito” or the like. Consider this looking at Quito through jet-lagged and sleep-deprived goggles. Quito is 2,850 metres above sea level. This makes it the second highest capital city in the world (first is La Paz in Bolivia). The city itself is mountainous and chilly. Over the course of the year, the weather ranges from 9 degrees to 21 degrees celsius. Note to self: If retiring to Ecuador, choose the Galapagos Islands! If you are driving in Quito, you better learn how to knit. Because you most likely would have produced a sweater or a beanie from the traffic jam, and you might as well earn profit. Ok the traffic isn’t as bad as Asia-type traffic. There’s less pollution and there’s no road rage. And luckily there are sights for you to see while stuck in traffic. As we walked the cobbled streets of Old Quito, I kept trying to get stolen glimpses of the locals’ teeth. 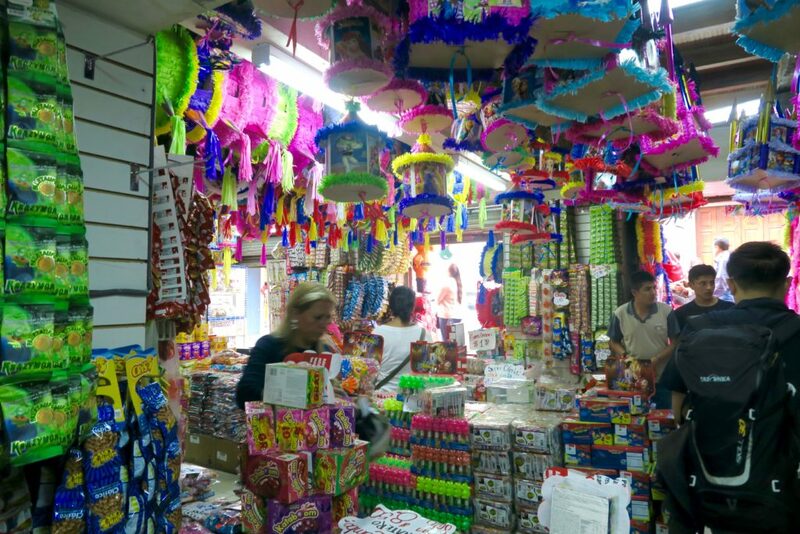 I wondered if they all have really good dental work, because in almost every street, there is a huge candy / party shop. Childrens party must be a big business in Ecuador. We went inside a couple of these shops and I didn’t see any children. Just adults who had a determined look on their faces as they grabbed stacks and packets of sweets, lollies and party favours that they want. They mean business. 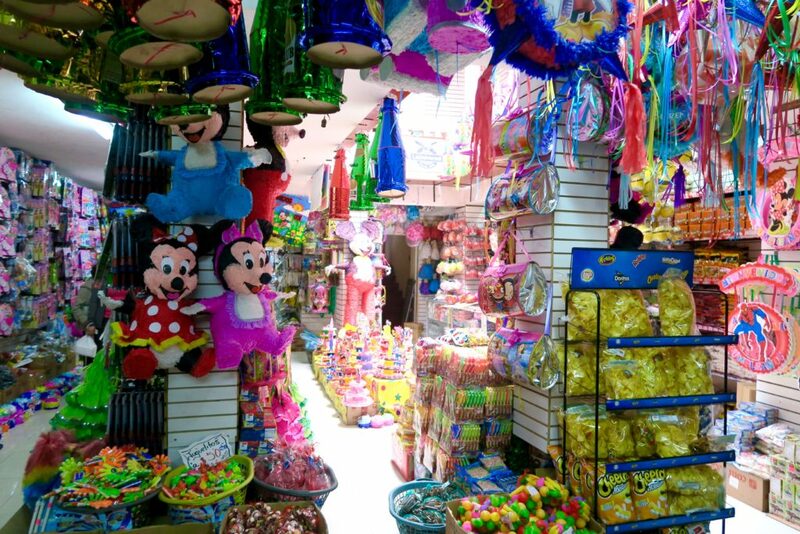 Does anyone know more about the candy / children’s party culture of Ecuador? I’d love to know. 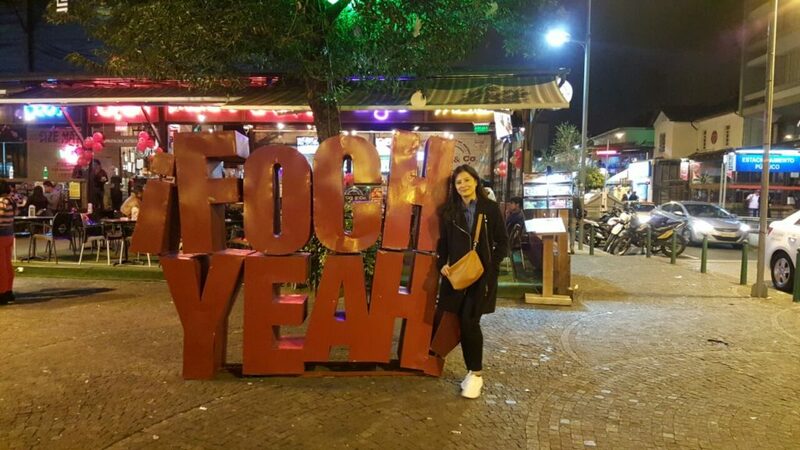 Plaza Foch in Quito – my eyes half closed. On our last night in Quito, we wanted to explore Plaza Foch, as that’s where most restaurants are. And I was peretually forgetting things in the hotel room so I kept going back. On my second trip back to the room, I met a mother and son in the lift and they asked me if I knew any cool places to eat. I said I was about to find out. We all ended up exploring Plaza Foch and ate dinner together. So there goes my superficial, half-asleep observations of Quito. I’d love to return one day and explore it for a longer time. Oh jetlag! Hmm it’s a toughie. I try and get out if I land during the day and try to get used to the timezone and sunshine but it’s tough if you arrive at night. Lovely, colourful pics too and a traffic jam looks quite different there than in Sydney!